Winter can be hard on businesses and residents alike. As challenging as it can be, it is part of living in Edmonton. 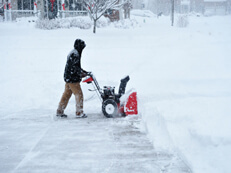 Let us ease the stress and back ache this winter all while keeping you safe and your property clear of snow. Our residential services combined with our shoveling, plowing, and salting will help you enjoy the winter more than ever. All of our snow clearing service plans come with Unlimited Removal all season long when you sign up for a monthly plan. With our competitive pricing and reliable service feel confident you’re being taken care of by one of the top Edmonton snow removal companies available. Prices typically range from $149 – $249 a month. Pricing is dependent on the square footage of your property, which includes your driveway, sidewalk, and walkways. 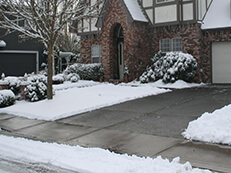 Removing snow and the cost to the customer will vary depending on the size of the area that needs to be cleared, taking into account sidewalks, entrance ways, and drive ways. We provide FREE quotes however so please contact us today. 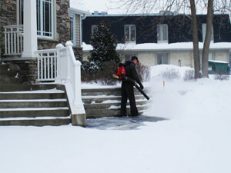 How Much Does Snow Cleaning Cost In Canada? 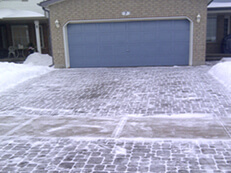 Our monthly snow removal rates were developed to keep your property without snow and ice throughout the winter, we offer Edmonton’s most reliable multi-unit property snow elimination services. Our flat-rate property protection consists of the complete upkeep needed to ensure safe, unimpeded access to your premises, all winter long. We are equipped and experienced to take care of even the most requiring homes, such as property plazas, condos, residential property advancements, apartment buildings, townhouse complexes, neighbourhood, neighborhoods, and investment residential properties. Canadian winters can be severe and unpredictable. So make sure you always hire a reputable company who is known for their quality of work and has the right experience to handle the tasks at hand. There are so many people out there who will just push snow on old beaters. Yet, a lot of times, these people are not reliable.